* The I'm a Shark! Medallion card guard is an individually hand-painted 1.5" diameter shiny brass coin inside a clear acrylic protective coin case. 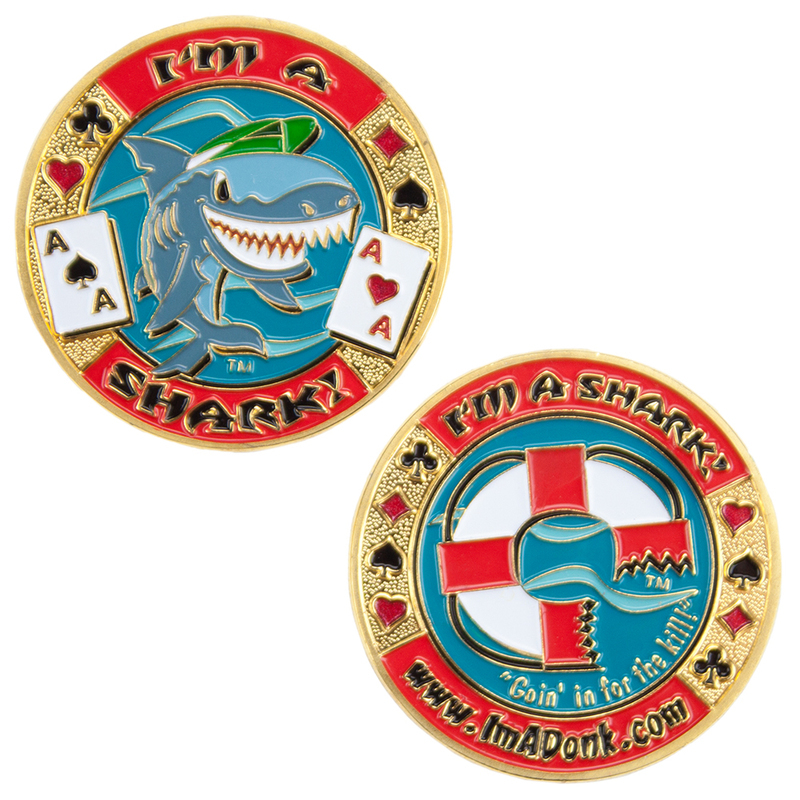 * This product displays a common poker phrase and protects a player's cards from being exposed or folded during play of Hold'em, Stud, Omaha, and many other poker games. * Protect your hand, distract opponents, strike up conversation, and collect them all. Individually packaged and ready for retail.